The Houston TV news announced–shortly after 5:00 PM–freezing temperature tonight for Livingston. We’ve had no previous forecast of that dip in temperatures. I felt compelled to go out in forty-one degree cold and move perennial plants under the shelter. It didn’t take long… but I got thoroughly chilled. 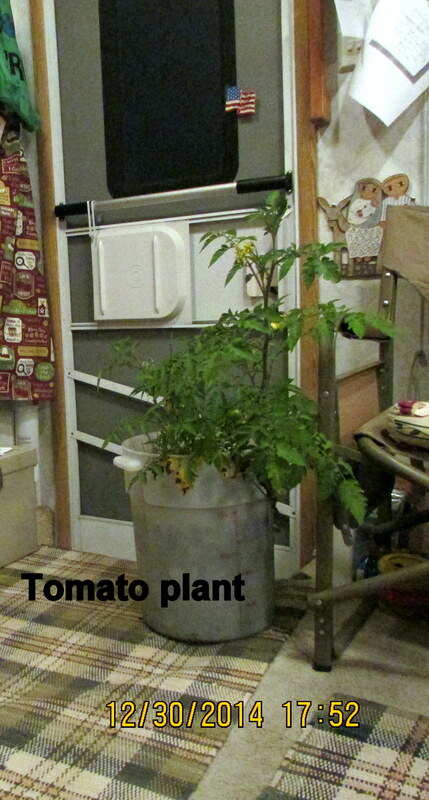 The tomato plant came into the trailer. I’ve experienced a relapse, health wise, and spent the day wrapped in a blanket, in my easy chair. I need to do laundry!! 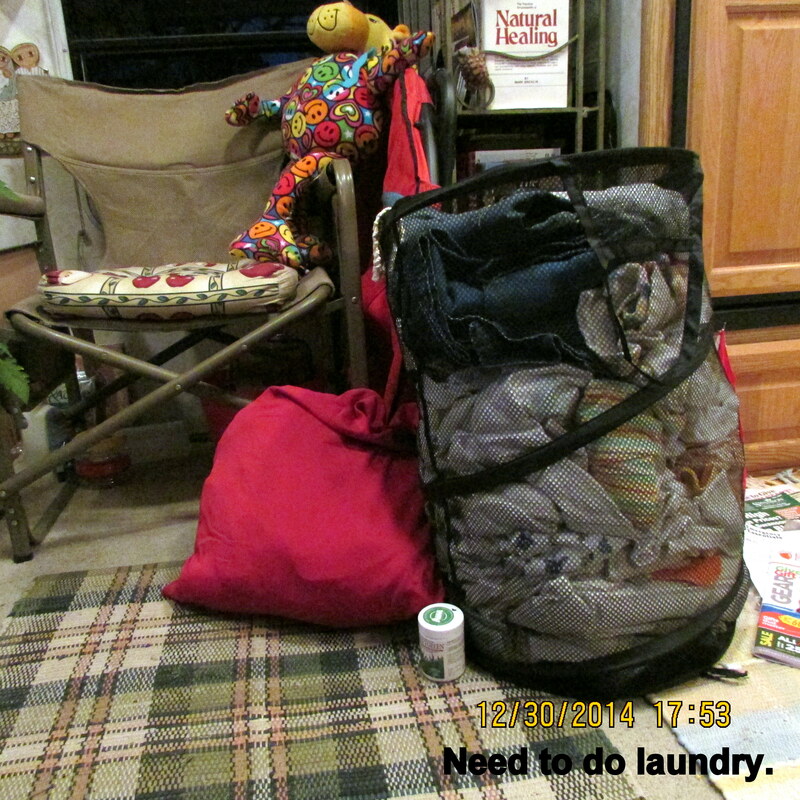 It is near the door, ready for a trip to the laundry room in the nearby RV Park. 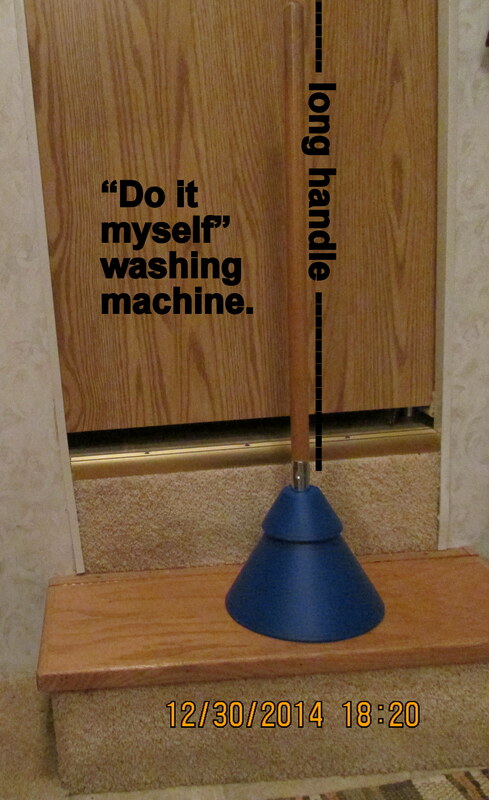 A friend provided a “trailer size” washing machine (Christmas present). It is a quality item that will be used at a later date. Sometimes … writing is a journey…and an author composes ‘works’ with the same motives a carpenter builds his constructions with. Art plays it’s part in all things … and written words are no different, other than they sometimes have a ‘ life’ all their own. A ‘writing’ that out-lives its composer becomes a heritage, maybe even a society, or a culture, an environment, or an age…. I hope an aspiring writer would write because he loves to do so. This answer really spoke to me. I believe writing is an art and its great to be able to reach the public with your craft but I think if one does something solely for public adulation then something is lost along the journey. I write because I love it and not for money or fame or any other reason. I heard the quote on a TV program, quickly jotted it down, then searched the Internet for details. ~~ I write blog messages for my pleasure. Truthfully, I only have one faithful follower. ~~ It is my hope and prayer that–eventually–grandchildren and great-grandchildren will wish to “get acquainted”… and read the messages prepared by Grandma. Old Man Winter is probably getting a big laugh. “Gotcha! 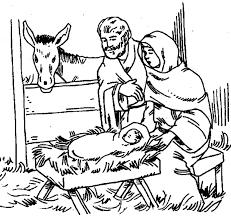 !” The last couple of days have been cold–with lots of rain. My propane is depleted; my trailer has been COLD!! Fortunately, I have lots of bedding so my bed is the warmest place in my home. 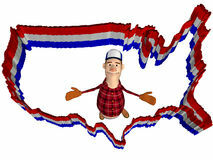 ~~ A holiday weekend is NOT an ideal time to run out of propane!! 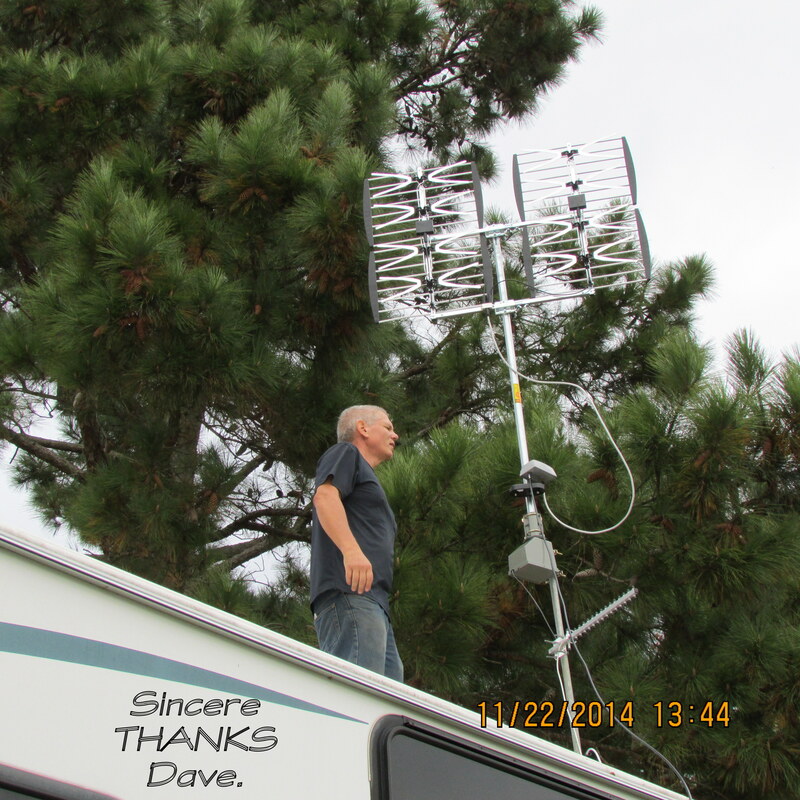 Gratefully, I have a portable electric heater (near my computer, ha) but inadequate for my trailer home. 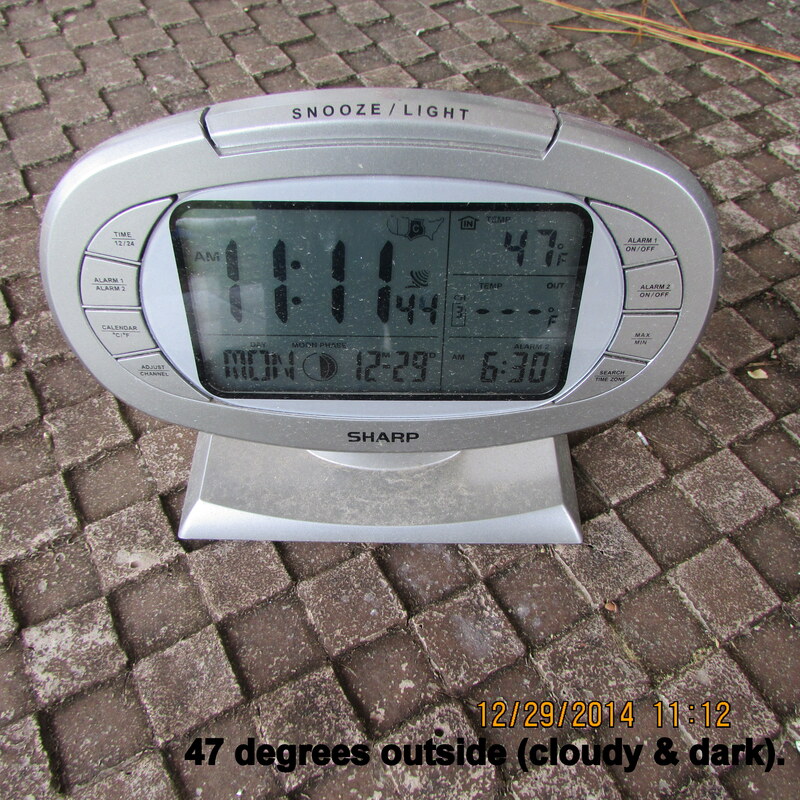 Fifty-eight degrees indoors; forty degrees outside–7:30 AM. Postscript, 1:00 PM: “Maintenance” came and switched propane tanks. Two of my three tanks were empty!! Fearing there might be a leak, “maintenance” called for a service worker from a propane company to run a test. “No leaks.” That’s good news but that information cost $40.00. 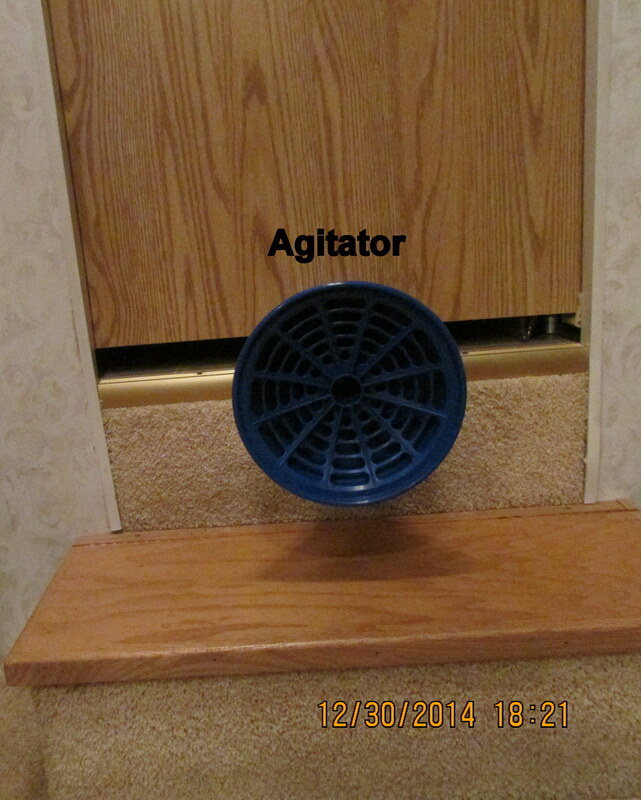 ~~ FYI: Because the third tank is almost empty, I’m still running the electric heater. It is sixty-six degrees inside my trailer and forty-eight degrees outdoors. I’m wearing a sweatshirt–and a hat!! This morning the NBC Today Show presented a story about Scott Rigsby. I was mesmerized as I watched the film; I had goosebumps–and tears in my eyes. Click the red link; check the Internet for numerous links detailing his experience. Merry Christmas Lorraine!! 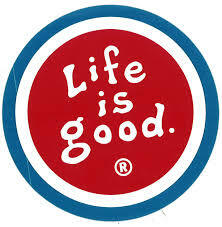 Life is good!! Recent purchases I call my Christmas gifts. 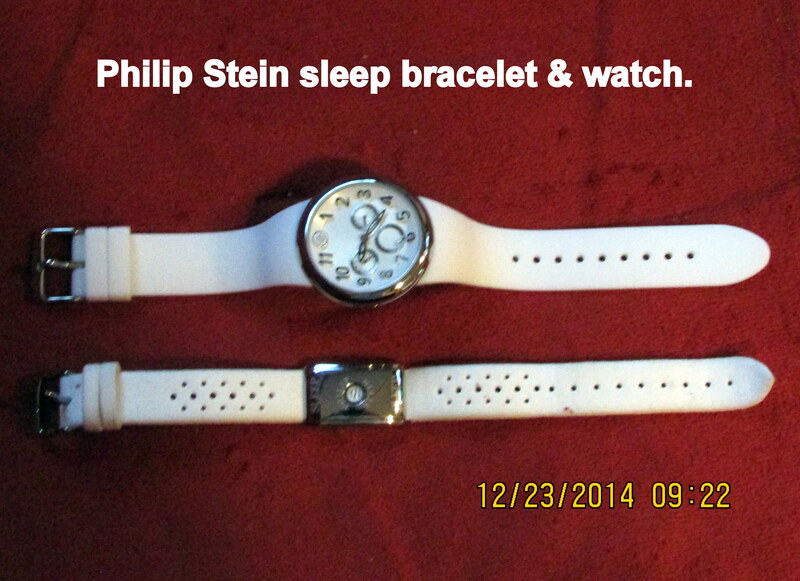 The Philip Stein technology really works and I’m enjoying good nights sleep!! 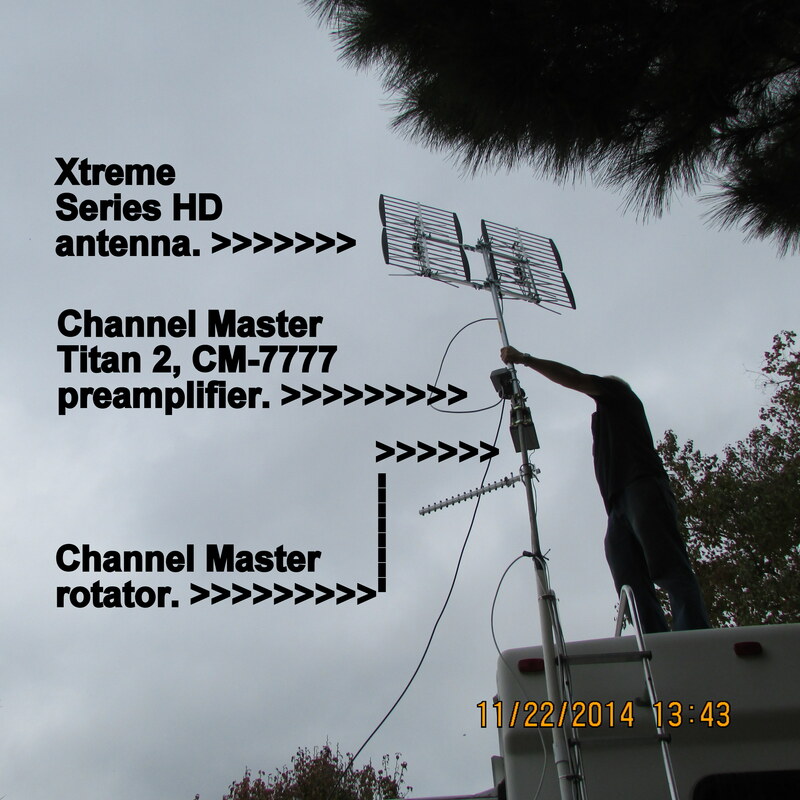 When I’m sick, or it is raining hard (like today), I have television reception (without contract and monthly payments). FYI: Feeling “good” for the first time in two weeks!! 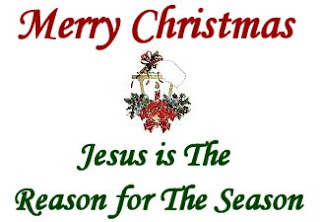 Received as an email Christmas greeting. I’ve edited it slightly. We have enjoyed the redneck jokes for years. It’s time to take a reflective look at the core beliefs of a culture that values home, family, country and God. If I had to stand before a dozen terrorists who threaten my life, I’d choose a half-dozen or so rednecks to back me up. Tire irons, squirrel guns and grit — that’s what rednecks are made of. 10 Commandments posted in public places. heart when they play the National Anthem. with great respect, and always have.